White Vein Bali Kratom is a popular strand with at least 25 kratom alkaloids in it, the highest amount of any common strain. It has an energizing and stimulating scent. 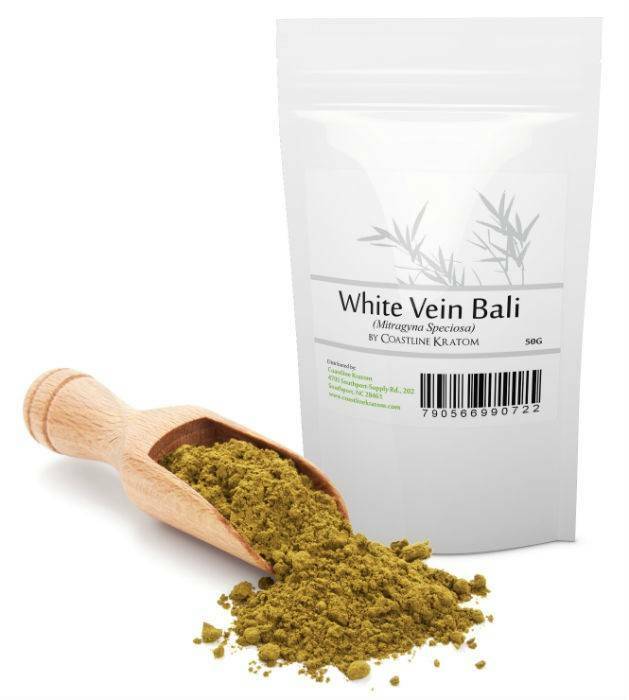 White Vein Bali kratom is sourced from mature trees and harvested by the indigenous tribes in Southeast Asia. These tribes have decades of experience harvesting from only ripe trees, and produce our powder to a sugar-like consistency using a standard grind. The leaves are dark green with a white vein running through them. The “white” refers not to the color of the powder, but to the color of the veins in the leaf. Other products you might be interested in include: Green Vein Malay, Red Vein Maeng Da and Ultra Enhanced Maeng Da.